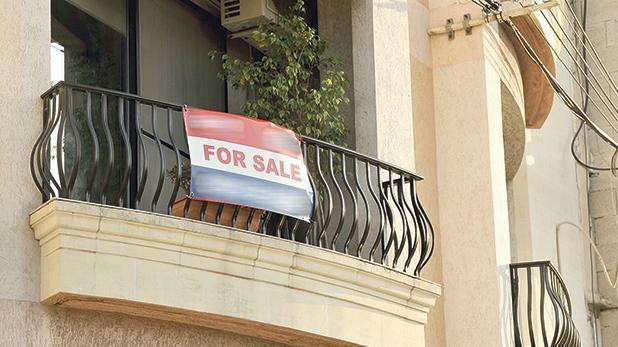 In the first quarter of this year, pro­perty prices in Malta were up 5.2 per cent compared to where they were last year. Little doubt they’ll be up again next year, and the one after, but I would like to suggest that the value of homes is actually going down. Yana Mintoff put her finger on it in an interview she gave this newspaper last Wednesday. Her argument was elsewhere and had to do with a looming housing crisis for people on low incomes, but she made the point in passing that, much as markets were fun places to haggle and bargain at (she is Dom’s daughter after all), the same could not be said of housing. When it came to homes, she told the interviewer, “you, as a person, don’t want to be like you are in a market, always moving around”. I agree with Mintoff, on all three counts. First, that there is some divertissement to be had from doing the vendor rounds at the Bormla market on a Tuesday morning, just to see how many cents you can save on your bag of tomatoes. Second, that that model does not necessarily apply to homes. Third, that the word ‘person’ is an important part of the equation. Consider the following examples, all three of which I came across recently. An elderly couple I know have a small flat in St Paul’s Bay which they use as a villeġġjatura (summer house). Partly the attraction is the circle of people their age who also have summer flats there, and who spend their evenings sitting around on the front talking. Except that circle seems to have dwindled in the last year or two, for reasons other than mortality. Increasingly, I was told, people are sacrificing their villeġġjatura. The flats that used to be a cherished part of their extended homes have been rented out. The second example is of a middle-aged couple who sold their terraced house in L-Ibraġġ to a developer. It was a house they had built themselves and lived in as a home for many years, but the carrot of a fat cheque and the stick of five-storey apartment blocks all around changed all of that. Downsizing was wheeled out as a convenient palliative, and their home was rubble. They now live in a flat on the outskirts of a village. The third case is of a widowed woman who lives surrounded with family memo­ries in a beautiful and exquisitely furnished house built in the 1960s. She told me she had decided to sell both the house and most of its contents, and to move to a small place somewhere. The neighbours had long since moved out and their houses were now blocks of flats, or about to become so. The value of the plot on which her house was built was probably in the millions of euros, and she felt she owed it to her children to sell while the time was right. Besides, the easy divisibility of money would save them problems over inheritance. All three examples are of people who made money selling or renting out properties they called home. Bully for them, and I certainly am not about to begrudge anyone for making use of their private pro­perty as they deem fit. That 5.2 per cent means something, and a good chunk of the spending we see around us – cars, boats, and such – is rooted in property killings. That so many should want a piece of the action is neither surprising nor wrong. To sermonise about other people’s greed is not the point here. Rather, I am interested in how, ironically perhaps, the skyrocketing value of property ends up devaluing homes. Which is where Yana Mintoff’s remark about personhood comes in. This is not the place to discuss in detail what makes a home, but I think we can agree that the home and the person have what diplomats call a special relationship. That is to say, a home is not just a place you happen to stay in while you wait for a good offer. If anything, a home that works is one you wouldn’t wish to have to leave, because it is part of who you are. The relationship between an estate agent and the properties they handle is a different species altogether. Estate agencies are rather like pet shops, where animals be­come pets only after they have left the shop – they are otherwise just dogs or budgies or whatever. And, just as it wouldn’t do for a pet shop owner to get attached to their animals, people who sell or rent out homes for a living cannot afford to think of them as homes. That bit’s up to the buyers. Thing is, we’re all property developers and estate agents now. Even the least enterprising can scarcely avoid being evangelised by the property good news. Like many, I’m sure, I keep getting little slips of paper in my letterbox that urge me to consider selling. My home, I’m told, is a cash cow that ought to be milk­ed, or sent to market outright. That, or I become a loser in a world of winners. To love your home and not consider selling it is overly sentimental. It is to turn your back on that 5.2 per cent. Property prices are indeed causing homelessness, and in more ways than one.